Why you must include your interest income in your tax returns? Many taxpayers confuse the exemptions provided under section 80TTA of the income tax act regarding interest earned from bank FDs and believe that interest of up to Rs 10,000 in a year are tax-free and thus not declared. One of the most common mistake made by taxpayers when making their tax returns is the omission of interest earned during the year. Often taxpayers believe that interests earned from bonds and tax saving fixed deposits (FD) is tax-free. Many taxpayers confuse the exemptions provided under section 80TTA of the income tax act regarding interest earned from bank FD’s and believe that interest of up to Rs 10,000 in a year are tax-free thus not declared. Here’s why you should be careful to include all interest income on your tax returns. A recent Directive by the Central Board of Direct Taxes directed taxpayers to accurately declare all interest income earned in the course of the year in review in their tax returns. The directive emphasized the need for all interest income to be shown on the return, including cases where form 15G or 15H had been filed. In such cases, the income is not exempt where the personal total income is in excess of the maximum amount not chargeable to tax according to section 10 of the Income-tax act. Taxpayers who are below the age of 60 years have an allowance of up to Rs 2.5 lakh a year that is not taxable. While those in excess of 60 years, the limit is higher at Rs 3 lakh. Banks and other financial institutions including state treasuries and bond issuers also include information regarding interests earned by individuals and businesses when filing their tax returns. Your Permanent Account Number (PAN) is usually under constant scrutiny by the income tax department. Since most transactions require you to include the PAN, it allows tax officials to look into your financial life as and when needed. This is made possible and easy by just keying in the specific PAN into their computerized database. Where a taxpayer has overlooked to indicate all his / her interest income, the taxpayer can be held liable for ‘concealment of information’ which can result in punitive sanctions. 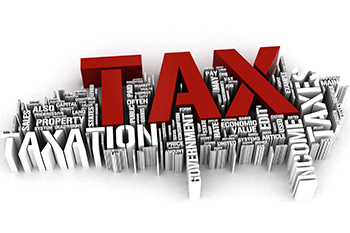 It is, therefore, important for you to include all interest income in your tax return.